Bright Light Ventures has developed an extremely classy solution to the age old problem of unruly desktop cords and cables with the Pinza device. We’ve all experienced the issue of dealing with the natural occurrence of “cable retraction.” You know how your phone charger, favorite USB cables and frequently used power cords just seem to pull back behind your desk as soon as you remove them from your devices? I’ve had to wedge them at odd angles beside my lamp, PC and other office accessories to keep them from slipping into the narrow and dusty void between my desk, floor and wall. 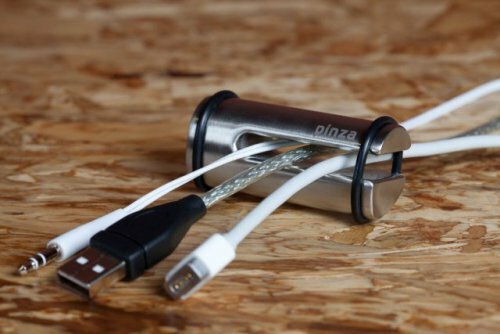 The Pinza is the child of a paperweight and a cable organizer that securely holds all of your most important cords in place while utilizing a trio of core components: its unique tubular design, solid stainless steel construction and strong rubber bands. Users simply remove the bands from the open side of the Pinza, slide a cord into the organizer and slide a band behind each cord to secure them into place. 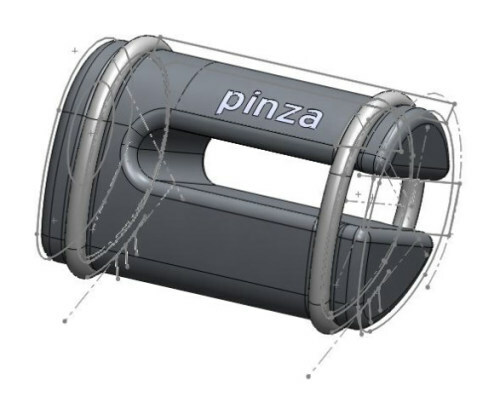 My favorite part of the Pinza design is that cords are easily pulled through the stationary device as needed, and that they naturally retract back into the Pinza (as opposed to the dusty abyss) when released. Pay attention, Inventors! Bright Light Ventures’ Pinzas are a highly polished solution to a common office inconvenience, and that makes me wonder what innovators will dream up to eliminate the annoying everyday problems that people living in 2013 deal with on a daily basis. Do you have any modern issues that inventors should consider solving with a creative tool or device? Share your issues with us in the comments below! Click here to grab a small or large Pinza for your own office. 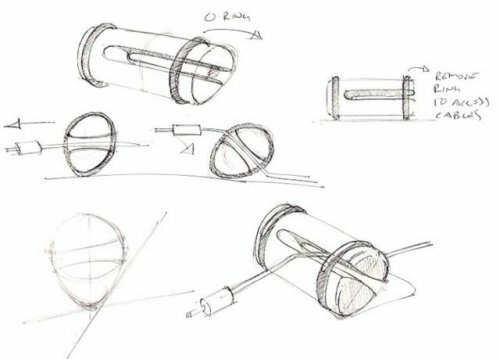 A Hair Growth Device Resembling Headphones Has Surfaced, But Will It Work?